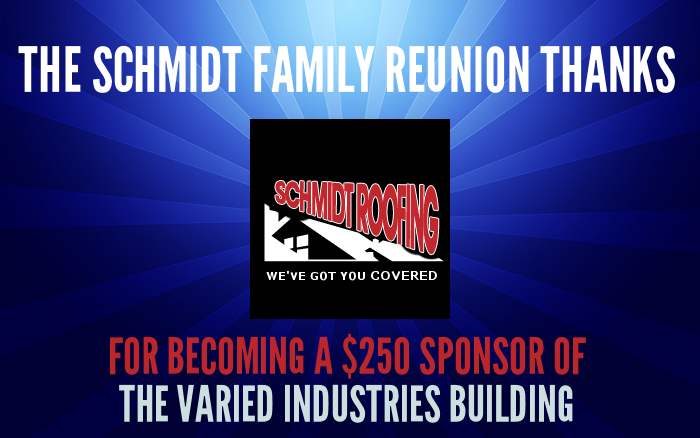 THANK YOU to the first business to become a sponsor of the Schmidt Family Reunion: Schmidt Roofing of Burnsville, MN! Look for their logo on the Varied Industries building at the 2016 Reunion. Want your business to become a sponsor too? Click here! Thank You to Clint and Magdalena Schmidt!